Mr. Ricardo Kumar Dadoo is President of Logistics Dadoo. He has knowledge of and has access to major Mexican businesses including senior management in the financial services, logistics and airline industries. Mr. Dadoo received his MBA in Finance from NYU Stern School of Business in 1984. He started a banking career as a summer intern at Bank of America in Mexico City in 1979 while student at the University of Denver where he graduated in 1980. He rejoined the bank after graduating from both college and graduate school. During this time he rose from relationship officer in the Correspondent Banking Department to Assistant Vice President in the New York office where he was lending officer to U.S.-based accounts in the aerospace industry such as United Technologies, GE, Fairchild Aerospace and Raytheon. In 1986 Mr. Dadoo returned to Mexico and joined Operadora de Bolsa, then Mexico’s leading retail brokerage and investment bank. He was named Vice President of M & A to lead the firm’s role in the purchase of Aeromexico and Mexicana from the government through creation of a multinational investor group led by SAS. 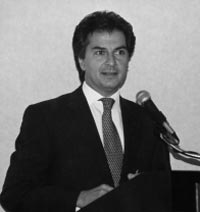 In 1989 Mr. Dadoo was hired by Mexicana to create and execute a business plan for the turn-around of the air cargo division. During his term dollar sales grew by 40% in three years and operating profits by four percentage points, raising service standards and maintaining #1 market share in the highly profitable US-Mexico and domestic markets. Two freighters were introduced for international routes profitably from day one. In 1992 Mr. Dadoo was hired by United Parcel Service as Country Manager to start UPS’ Mexican operations. The company grew from US$0 to US$90 million dollars in revenue in seven years. The unit achieved profitability on plan through high yields, tight days receivables and strict cost controls. UPS positioned the brand as most reputed in its industry despite late market entry by superior customer service, robust operating processes, middle market positioning and active community involvement. In 1997 the Mexico group won the Chairman of the Board Award for most profitable international operation. In late 1999 he was promoted to District Manager Mercosur with responsibility for operations in Argentina, Brazil and Chile. Mr. Dadoo recently sold his majority ownership in Logistics Assistance, a transportation services company he founded, which provides distribution fleets with an advanced roadside assistance insurance product and logistics turn key projects. Current or past customers include DHL, IXE Bank, P&G, Colgate-Palmolive, Coca Cola Femsa, Johnson & Johnson, Modelo Beer, Roche Laboratories, Abbott and Volaris airline. Ricardo is a member of Trace International, a Washington D.C.-based organization that specializes in transparency and ethics compliance training for international commercial agents and consultants. He is a founding member of the Mexico Chapter of New York University’s Stern School of Business and Alumni Council member. Mr. Dadoo resides in Mexico City with his wife and two children.